Craig makes a good income, and Lindsay always sticks to their budget—but Lindsay feels like Craig is always nervous about her spending, and it makes her nuts. She doesn’t see him as a control freak in any other area except this. He checks their bank account every day to see how much Lindsay has spent on clothes, gifts for the kids, new household decorations, or whatever. Recently, she totally lost it when she found him poking through her shopping bags. Now she’s wondering what she should do. Sneak the shopping bags in when he’s not looking? Get a job so she can spend her own money without pressure from him? She doesn’t want to argue anymore. My guess is that Lindsay’s shopping bags are like lead weights to her husband—and with every shopping trip he feels more and more pressure to keep up with her spending habits. Is that a fair feeling? Maybe not. Is it likely? Very. Most counselors would probably tell Lindsay, and other wives (like you?) experiencing the same frustration, that better communication about financial expectations, budget and spending is needed—especially during higher-expense seasons like holidays or birthdays. And that’s valid advice. But before you can understand what to do next, it would be helpful for you to understand what might be underneath your husband’s spending sensitivity—because I don’t think it’s about control. So if it’s not about control, what is it about? Men feel an immense pressure to provide for their family. Most men feel an immense pressure to provide: a pressure that would be there even if you spent hardly anything. In my surveys, the vast majority of men said the responsibility to provide for their family was constantly pressing on them; they were never free of it. Even when expenses were low, and even when a wife made enough money to support the family all by herself! But taking care of his wife and family is also a man’s way of saying “I love you”—and showing that he is worthy of you. And that comes with much more insecurity than you might ever think. Providing is one of the key areas where men experience the ongoing risk of failure. Most men are constantly, subconsciously, evaluating their current and future earnings prospects, and whether they can provide “enough” to support the family and make their wife and kids happy. Husbands have a fear that they won’t be able to keep up with expenses. Now, keep all that underground insecurity in mind… and add on a husband seeing “extra” spending (even if it is in the budget and isn’t really “extra”), and you can see why some men are unusually sensitive. Your husband might be one of them. If your man isn’t controlling in any other area, that tells me that this reaction likely isn’t about control but fear: a deep and visceral fear that he won’t be able to keep up. It may not necessarily be a logical feeling—after all, you have money in the bank! You’re sticking to a budget!—but it is very deep. And very common. So what do you do? Express appreciation to your husband and respect his concerns. By far the most important step is to talk to your husband about this in a way that he truly sees that you appreciate him and that you want to understand and respect his concerns in this area. Tell him, regularly, how thankful you are for all the work he does to provide. And then at some non-emotional time, inquire about this. Ask whether he feels pressure when he sees your shopping bags, or when he knows that you’re spending money on things he might view as non-essentials. If you two have worked out a budget that you’re sticking to, ask him what you both can do to help him feel better about it, yet without you feeling like he’s constantly checking up on you and signaling a lack of trust. Communication will help you understand what is underneath your husband’s behavior. If he doesn’t have an immediate answer to that question, that’s okay. Guys often need some time to process things. You might learn more over time, anyway—and be better able to convey that you’re serious about taking some of the pressure off. Maybe he’s in a particularly dicey time at work and would simply feel better if your household had a spending freeze for a while. Or maybe he really wants to provide for those things he sees as “extras” but doesn’t feel adequate to the task, and confesses that it really would help with certain expenses if you got a part-time or seasonal job. You won’t know what the answer is until you sit down and talk about it. But it will make all the difference to talk about it with a compassion for the insecurity that you can’t see, that may be hiding underneath the drive-you-nuts behaviors that you can see! Looking for encouragement for your life and relationships? Learn about the little things that make a big difference in every relationship, from marriages to parenting. Subscribe to updates from Shaunti here! 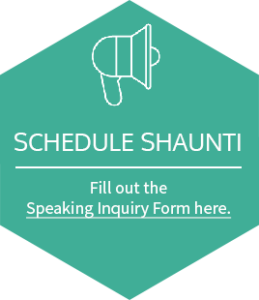 Shaunti Feldhahn loves sharing eye-opening information that helps people thrive in life and relationships. She herself started out with a Harvard graduate degree and Wall Street credentials but no clue about life. After an unexpected shift into relationship research for average people like her, she now is a popular speaker and author of best-selling books about men, women and relationships. (Including For Women Only, For Men Only, and the groundbreaking The Good News About Marriage). Her latest book, Find Rest: A Women’s Devotional for Lasting Peace in Busy Life, focuses on a journey to rest even with life’s constant demands. This article was first published at Patheos.